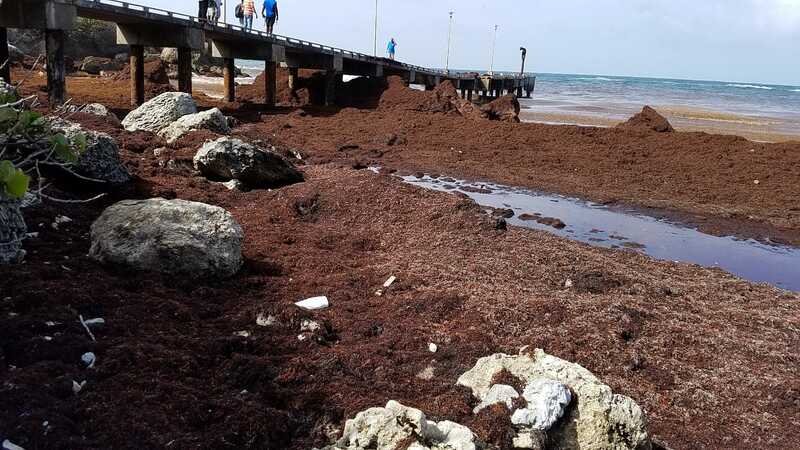 BELIZE CITY, BELIZE, FRIDAY, 25 January 2019 (CRFM)—The Caribbean Regional Fisheries Mechanism (CRFM) has initiated a regional fact-finding study to document the record-breaking influx of Sargassum seaweed in the Caribbean Sea in 2018, and the impacts this phenomenon has been having on countries in the region since 2011. The fact-finding survey is funded by the Japan International Cooperation Agency (JICA), that has coordinated official development assistance from Japan to CARICOM States for over two decades. Over the past 7 years, massive Sargassum influxes have been having adverse effects on national and regional economies in the Caribbean, with substantial loss of livelihoods and economic opportunities, primarily in the fisheries and tourism sectors. 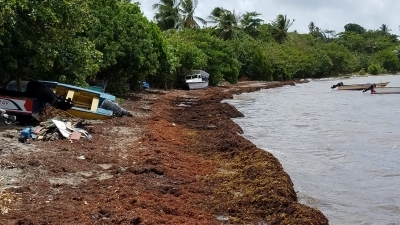 Large Sargassum influxes had been experienced in this region in 2011, 2014 and 2015, but it reached unprecedented levels in 2018, with more Sargassum affecting the Caribbean for a longer period of time than had previously been observed. It is estimated that clean-up could cost the Caribbean at least $120 million in 2018. 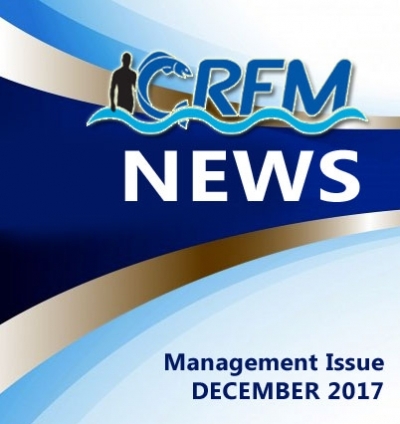 The CRFM Ministerial Council adopted the “Protocol for the Management of Extreme Accumulations of Sargassum on the Coasts of CRFM Member States” in 2016. The protocol has been guiding the drafting of national Sargassum management protocols for Grenada, St. Kitts & Nevis, St. Lucia, and St. Vincent and the Grenadines, with support from the CC4FISH project, an initiative of the United Nations Food and Agriculture Organisation (FAO). In the coming weeks, the CRFM Secretariat will lead extensive consultations with key national stakeholders in the public and private sector, including interests in fisheries, tourism, and environment, as well as with coastal communities and other related sectors. Remote surveys and field missions in select Member States will provide a broad knowledge-base on exactly how the phenomenon has been affecting the countries. Through the project, the CRFM will identify heavily affected areas, the time and frequency of extreme blossoms and accumulation of Sargassum, the quantity of accumulation, and elements associated with it, such as the species of fish and types of debris. A review of the history and scope of the impacts (both positive and negative) will be conducted and the extent of financial losses quantified. The CRFM will also identify research and countermeasures taken by the national governments, regional organizations, research institutions, and other development partners and donors. Finally, the study will suggest actions and scope of support that Japan may provide to help the countries address the problem. During the study, the CRFM will engage other regional institutions such as Caribbean Community Climate Change Center (CCCCC), the Centre for Resource Management and Environmental Studies at the University of the West Indies (CERMES-UWI), the Caribbean Institute for Meteorology and Hydrology, (CIMH), the Caribbean Tourism Organisation (CTO), the Caribbean Agriculture Research and Development Institute (CARDI), and the Organisation of Eastern Caribbean States (OECS) Commission. The CRFM will also engage development partners which have been doing Sargassum-related work in the region, including the FAO, UN Environment Regional Coordinating Unit, the International Atomic Energy Agency (IAEA), and IOCARIBE, the Sub-Commission for the Caribbean and Adjacent Regions of Intergovernmental Oceanographic Commission (IOC), an agency of the United Nations Educational, Scientific and Cultural Organization (UNESCO). According to the CRFM, Sargassum influxes disrupt fishing operations through gear entanglement and damage; impeding fishing and other vessels at sea; reducing catches of key fisheries species, such as flyingfish and adult dolphinfish; changing the availability and distribution of coastal and pelagic fisheries resources; and disrupting coastal fishing communities and tourism activities. However, this challenge has also inspired innovative interventions, and opportunities for revenue-generation include value-addition through the production of fertilizers, pharmaceuticals, animal feed, and biofuel. The CRFM notes, though, that the financial or other benefits remain to be quantified. The Sargassum phenomenon is believed to be driven by several factors, including climate change and increased sea surface temperature; change in regional winds and ocean current patterns; increased supply of Saharan dust; and nutrients from rivers, sewage and nitrogen-based fertilizers. BELIZE CITY, BELIZE, WEDNESDAY, 23 May 2018 (CRFM)—Fisheries Ministers who recently attended the 12th Regular Meeting of the Ministerial Council of the Caribbean Regional Fisheries Mechanism (CRFM), held in Montserrat on Friday, 18 May 2018, endorsed a newly drafted protocol on Securing Sustainable Small-Scale Fisheries in the region. 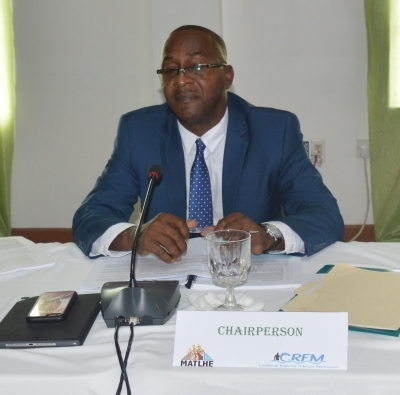 CRFM Executive Director, Milton Haughton, noted that small-scale fisheries are the mainstay of the fisheries industry, both in the region and around the globe. He said that small-scale fisheries accounts for more than 95% of fisheries in CARICOM and are vital for food security and employment, particularly in coastal communities. Globally, it accounts for 90% of all the fisheries produced, Haughton said. He explained that the Protocol had been developed within the framework of the Caribbean Community Common Fisheries Policy (CCCFP), accepted by CRFM Member States in 2014. The protocol, which addresses principles and standards for securing and strengthening small-scale fisheries, is the first protocol under the CCCFP, he added. The Ministerial Council endorsed the Protocol and agreed on the need for immediate implementation. It, furthermore, called on regional and international development partners and donors to support the Protocol on small-scale fisheries and to assist Member States with implementing it as well as the CCCFP, to improve fisheries and aquaculture governance, as well as management in the region. Outgoing chairman of the Ministerial Council, Hon. Noel Holder, M.P., Minister of Agriculture, Guyana, highlighted the need for government executives within CRFM Member States to help move the process forward. He also flagged climate change, security at sea, and illegal, unreported and unregulated (IUU) fishing as three priority areas for the Caribbean’s fisheries sector. At the opening of the Meeting, Holder spoke of the destruction wrought by two catastrophic hurricanes, Irma and Maria, on some CRFM Member States last year, amid a period of above normal cyclonic events attributed to climate change. On the issue of IUU fishing, Holder said that in CARICOM, 25% of catches are unreported and 5% are illegal, based on information published by the United Nations Food and Agriculture Organization (FAO). Whereas illegal fishing is a problem – both globally and regionally – so too is piracy on the open waters. Minister Holder underscored during his remarks that the security of fishers as they traverse the waters of the Caribbean must be a high priority as the Council forges ahead. He spoke in light of the recently reported pirate attack off Suriname, feared to have claimed the lives of at least a dozen Guyanese fishers. The Minister said that his sympathies are with the families of the affected men. Haughton noted that the Council meeting was taking place against the backdrop of a difficult and challenging period in the region for many countries, repositioning and reengineering their economies and preparing to address the “new normal” environment challenged by a changing climate, as well as warming and increasingly acidic waters. Haughton cautioned, though, that the road ahead to building climate-smart, resilient economies; realize sustainable growth and development; and create jobs and prosperity for Caribbean people could prove difficult and challenging, but the CRFM’s resolve would not be broken. The need for a united front was echoed by Hon. David Osborne, Minister of Agriculture, Trade, Lands, Housing and the Environment, Montserrat. “Fish know no boundaries. 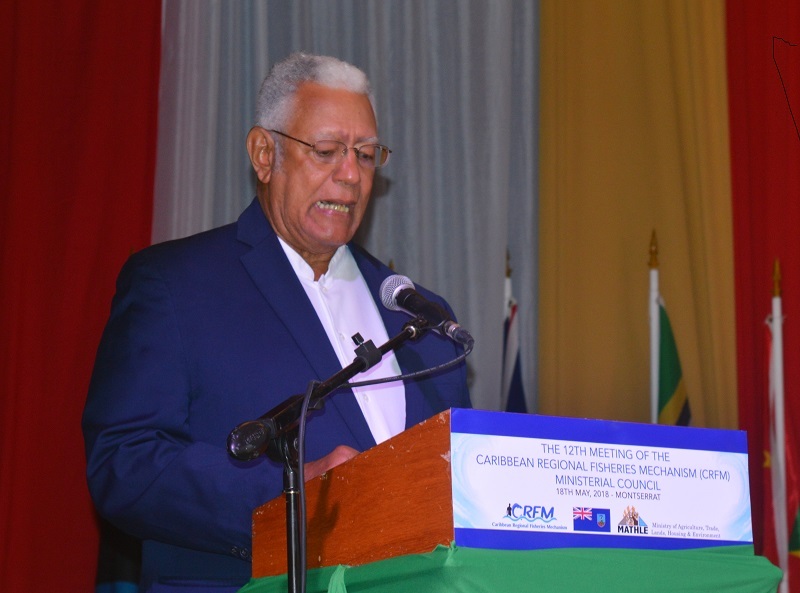 Let us, therefore, unite as ‘One Caribbean’ to conserve and sustainably use our oceans, seas and marine resources for sustainable development,” said Osborne, who was elected as the new chair of the CRFM Ministerial Council on Friday. The Minister said that the Caribbean has its niche markets, which include fisheries, and he urged CRFM Member States “to step up to the plate and work with each other” in developing the sector sustainably. The Ministerial Council also adopted a Policy Statement on fisheries co-Management and fisher engagement and participation, supported through a recently concluded project funded by Japan. The meeting also recognized the successful development of the fisheries using fish aggregating devices (FAD), which was supported by the Project. Although the Caribbean Fisheries Co-Management Project (CARIFICO) ended in April, the Council endorsed a call for the region to pursue continued fisheries cooperation with Japan, with which CARICOM has had a long-standing, productive relationship spanning more than two decades. BELIZE CITY, BELIZE, THURSDAY, 19 April 2018 (CRFM)—Fisheries officials from Member States of the Caribbean Regional Fisheries Mechanism (CRFM) are meeting on Wednesday, 18 April 2018, at the Montserrat Cultural Centre to review and validate the Draft Protocol to Integrate Climate Change Adaptation and Disaster Risk Management in Fisheries and Aquaculture into the Caribbean Community Common Fisheries Policy. Also attending the one-day meeting are experts from non-government stakeholders in fisheries/aquaculture, climate change and disaster risk management. They include the Caribbean Network of Fisherfolk Organisations (CNFO), and regional and international organisations such as the Caribbean Community Climate Change Center (CCCCC) and the United Nations Food and Agriculture Organisation (FAO). The CRFM—the CARICOM agency which works to promote sustainable development of the fisheries and aquaculture sector—is a regional partner on the Climate Change Adaptation in the Eastern Caribbean Fisheries Sector (CC4FISH) Project, funded by the Global Environment Facility (GEF); and implemented by FAO. It is under this umbrella that the new initiative is being implemented for the benefit of the CARICOM States. Leslie John Walling, a regional consultant who specializes in Coastal Resources Assessment and Management, Disaster Risk Reduction Planning, and Climate Change Adaptation Planning, was engaged by the CRFM to assist with the development of the new protocol. The CRFM wants to ensure that the Caribbean Community Common Fisheries Policy (CCCFP) can effectively direct the development of a regional fishery sector that is resilient to a changing climate and enhanced through comprehensive disaster management, and the sustainable use of marine, aquatic, and terrestrial resources. Through this new protocol, measures will be incorporated into the Common Fisheries Policy to reduce vulnerability to climate change and disasters such as hurricanes and to increase resilience of fishing communities and the fisheries sector to the threats arising. Working together, the countries can more effectively and comprehensively define and implement measures required to reduce vulnerability and enhance resilience throughout the aquaculture and fisheries value chains. This will, in turn, afford stronger protection of fishing communities, increased food security and the more secure livelihoods of persons who depend on fisheries and aquaculture. The regional protocol to integrate climate change adaptation and disaster risk management in fisheries and aquaculture into the CCCFP will also address issues related to production, processing, marketing and trading of fishery and aquaculture products. Catastrophic events can disrupt the fisheries value chain; however, effective strategies can help to ensure that the sector bounces back as quickly as possible. The Protocol will apply within national waters but also onboard vessels on the High Seas which fly the flags of participating states and wherever participating states have jurisdiction. It will be consistent with both the regional Comprehensive Disaster Management (CDM) Strategy and Framework 2014-2024, and the Regional Framework for Achieving Development Resilient to Climate Change, 2011-2021. After the technical experts from the Member Countries and partner agencies weigh in on the document at their meeting in Montserrat, the draft protocol will be refined for presentation to Caribbean ministers responsible for fisheries and aquaculture – the Ministerial Council of the CRFM, which sets fisheries policy for our region. The parties intend to meet regularly, using the existing CRFM governance mechanism, to review the protocol and its implementation across CARICOM. BELIZE CITY, BELIZE, Friday, 13 April 2018 (CRFM)—Once a year, the Caribbean Regional Fisheries Mechanism (CRFM), an inter-governmental organization established to promote and facilitate the responsible use of the region's fisheries resources, convenes a meeting of heads of national fisheries authorities from its 17 Member States. This year, that group of the Caribbean technical experts who make up the Caribbean Fisheries Forum will meet for two days in Montserrat. The CRFM will convene the 16th Meeting of the Caribbean Fisheries Forum on Monday, 16 April and Tuesday, 17 April 2018 at the Montserrat Cultural Centre in Little Bay, Montserrat. International and regional partner organizations, observers and stakeholders from the fisheries and aquaculture sector have also been invited to the event, organized in collaboration with the Ministry of Agriculture, Trade, Lands Housing and the Environment (MATHLE) in Montserrat. Speakers at the opening ceremony will include Hon. David Osborne, Minister of Agriculture, Trade, Lands, Housing and the Environment, and Milton Haughton, Executive Director of the CRFM. Ms. Avery Galbraith-Smikle, Director of the Aquaculture Branch of the Ministry of Agriculture and Fisheries in Jamaica, will also address the gathering. Jamaica, which hosted last year’s meeting of the Fisheries Forum, will hand over the chairmanship of the Forum at the upcoming meeting. 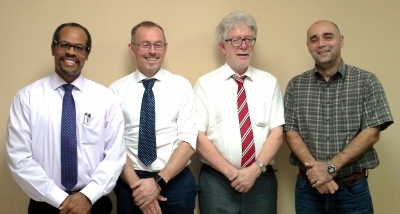 A vice chair and members of the CRFM’s Executive Committee will also be picked for the new programme year, which began at the start of this month. Participants will receive an update on the progress of programmes, projects and activities being undertaken by the CRFM and prepare recommendations to be presented to the CRFM’s Ministerial Council when it meets on 18 May 2018 in Montserrat. Among the areas listed for discussion by the Forum are management plans for key fisheries, co-management of fisheries involving stakeholders and government officials, cooperation with regional and international partners to improve management and sustainable use of marine resources; adaptation to climate change and disaster risk management in fisheries, and measures to combat illegal, unregulated and unreported fishing, among others. The CRFM is overseeing the development of the regional protocol to integrate climate change adaptation and disaster risk management in fisheries and aquaculture into the Caribbean Community Common Fisheries Policy. On Wednesday, 18 April, the CRFM will also convene a regional workshop to review the Draft Protocol, which it aims to have ready before the hurricane season starts on June 1. The CRFM is developing a Model Disaster Preparedness and Risk Management Plan for the Fisheries and Aquaculture Sector for CRFM Member States. This has emerged out of a necessity to have a framework that would advise regional partners on the measures to be taken in order to be better prepared, prevent and minimize loss, damage, destruction and death arising from hazards such as severe hydrometeorological events, tsunamis and oil spills. The Model Plan will enhance the Caribbean’s ability to manage all disasters at a regional and national level, with special emphasis on the fisheries and aquaculture sector. BELIZE CITY, BELIZE, Wednesday, 24 January 2018 (CRFM)—Seven Caribbean countries are participating in a recently launched series of subprojects which the Caribbean Regional Fisheries Mechanism (CRFM) is leading under a sustainable management initiative for the flyingfish fishery. The CRFM, the agency which provides fisheries-related advice and recommendations at the CARICOM level, initiated 6 sub-projects during 2017 to implement the Ecosystem Approach to Fisheries (EAF) for the management of the four-wing flyingfish in the Eastern Caribbean. This species of economic and cultural significance to our region is harvested by over 1,700 boats across the Eastern Caribbean countries and in Martinique. The sub-projects are being implemented in the focal countries of Barbados, Grenada, St. Vincent and the Grenadines, Saint Lucia, Dominica, and Trinidad and Tobago, plus the French Overseas Territories of Martinique and Guadeloupe. The sub-projects, intended to support the long-term sustainability of the flyingfish, are part of the project funded by the United Nations Development Programme (UNDP) Global Environment Facility (GEF) titled, Catalyzing Implementation of the Strategic Action Programme for the Sustainable Management of Shared Living Marine Resources in the Caribbean and North Brazil Shelf Large Marine Ecosystems (the CLME+ Project). The project aims to strengthen governance of the living marine resources by addressing habitat degradation, pollution, unsustainable fishing, inter-sectoral coordination, and management regimes for various fishery types, such as reef, continental shelf and pelagic fisheries. The CRFM contracted Blue Earth Consultants, a division of the Eastern Research Group, to lead three of the six flyingfish sub-projects in collaboration with a team of local and international partners. The Caribbean Natural Resources Institute (CANARI) in Trinidad and Tobago and Nexus Coastal Resource Management (Nexus) in Halifax, Canada, are leading the remaining three sub-projects. Blue Earth Consultants will work with stakeholders and officials in the focal countries at both technical and political levels until the subprojects conclude in mid-2019. The team is taking a participatory approach to gaining feedback and it will lead a consultative process to updating the Eastern Caribbean Flyingfish Fishery Management Plan (FMP). The FMP provides context and guidance for the management of the Eastern Caribbean region’s flyingfish fishery, developed through a process of extensive research, regional cooperation, collaboration, and stakeholder consultation. Endorsed for regional implementation in 2014, the plan was the first of its kind to have been sanctioned by the Ministerial Council of the CRFM, consistent with the Caribbean Community Common Fisheries Policy. Under this initiative, a sub-regional data policy will be developed to provide guidelines on how countries and Overseas Territories participating in the flyingfish fishery will collect and share data. 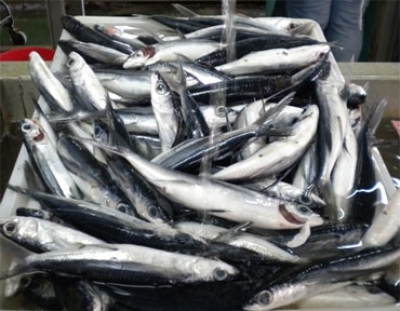 The current status of flyingfish fishery data collection will be investigated and legal and drafting support will be provided by the consultants to develop template regulations for countries to implement. New recommendations will also be developed on vessel licensing arrangements and a census will be conducted on existing fishing vessels used to target the flyingfish. The initiative will support improved cooperation between the 17 CRFM Member States and France on the management and conservation of shared living marine resources. Regional cooperation is vital to the sub-projects, given that flyingfish are a migratory species fished by six CRFM countries and the French Territories. Therefore, the project is developing a cooperation agreement for the CRFM States and France, based on stakeholder and expert inputs. Throughout the course of the three sub-projects to be led by Blue Earth, information products will be developed and shared with stakeholders and the public to increase understanding of the flyingfish fishery and the sub-project outcomes. The CLME+ Project was catalyzed by a US$12.5 million grant from the GEF, matched by government, multi-lateral and other funding for a total of more than US$146 million. Belize City, Thursday, 18 May 2017 (CRFM)—The Caribbean Regional Fisheries Mechanism (CRFM) will host the 11th Meeting of its Ministerial Council—the highest ranking decision-making body of the regional fisheries organization—starting at 9:00 a.m. on Friday, May 19, at the Pegasus Hotel in Georgetown, Guyana. Ministers who hold the portfolio for fisheries from the 17 Member States of the CRFM, or their appointed delegates, are slated to attend the event, at which Guyana is expected to be elected as the new chair of the Council. Fisheries ministers from across the Caribbean will review ongoing programmes and the status of and trends in the fisheries and aquaculture sector. They will also discuss further actions needed to tackle the pressing challenges facing the sector. “The 11th Meeting of the Council is taking place against the backdrop of the High Level UN Oceans Forum that will take place in New York from 5-9 June 2017, to review progress on achieving Sustainable Development Goal 14: Conserve and sustainably use the oceans, seas and marine resources for sustainable development,” noted CRFM Executive Director, Milton Haughton. The Council also aims to improve the trade and economic performance of the sector while addressing climate change and associated threats. The Ministerial Council will receive and consider the report and recommendations of the 15th Meeting of the Caribbean Fisheries Forum, the CRFM’s technical advisory body, which was held in Jamaica in March 2017 in preparation for this meeting of the Council. With the 2017 hurricane season approaching in just a few weeks, the ministers will discuss the Caribbean Risk Insurance Facility for Fishers. The Caribbean Fisheries Forum has endorsed and now recommend for approval by the Ministerial Council, the approach of linking the insurance policy with the Caribbean Community Common Fisheries Policy and the development of Disaster Risk Management Plans for the fisheries sector. They hope that this will incentivize the adoption of best practices for resource management and disaster planning. Countries would pay lower premiums and receive higher payouts after a disaster event if they have disaster risk management plans for the fisheries sector, have established mechanisms to facilitate cooperation among fishers, and are implementing the Common Fisheries Policy. 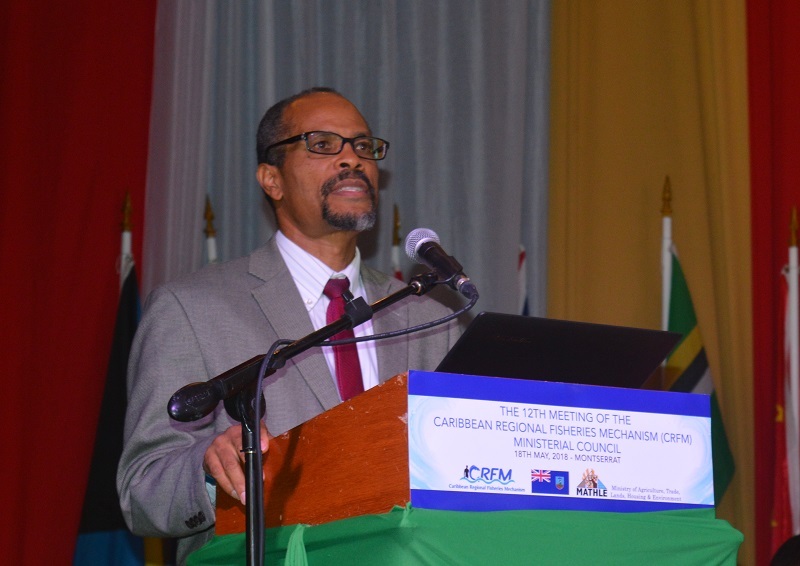 At the 6th Special Meeting of the Ministerial Council held in October 2016 in Cayman, Fisheries ministers welcomed the progress on the developments of the insurance facilities for the fisheries sector and urged the Caribbean Catastrophe Risk Insurance Facility Segregated Portfolio Company (CCRIF-SPC) to expedite the preparation of the policies and other necessary arrangements, and to launch the policies without delay. Urgent action is needed since threats from climate change and natural disasters, such as hurricanes, pose an ever-present threat to fishers and fish farmers, as well as to food security in the region. 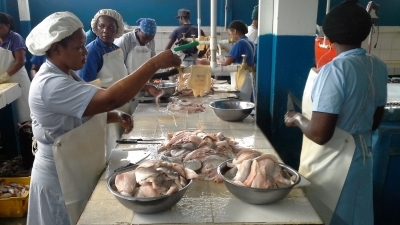 The Ministers will continue to review ways in which the countries can continue to collaborate on developing and implementing comprehensive legislation, protocols and guidelines to ensure fish and seafood safety and security, to expand regional trade and the Caribbean’s access to export markets, as well as to provide the necessary resources and investment to ensure adoption within the context of national governance frameworks. The Ministers will be asked to approve proposed follow-up interventions to strengthen the linkages between fisheries and tourism and to maximize potential benefits for local fishers and fishing communities, as well as to reduce the growing dependence on imported fish and fisheries products. CRFM Member States are being urged to address the constraints to sourcing locally produced fish and seafood for the tourism sector, such as inadequate quality assurance, unreliability of supply, inadequate volume, product form and transportation, and lack of communication and information flow between fishers and tourist establishments. They are also being asked to document the extent to which part-time fishermen are involved in the tourism sector (as tour guides, snorkelers, etc.) and to consider, in the context of promoting alternative or associated livelihoods for fishers focused on the tourism sector, the possibility of fishermen being given first preference to livelihood opportunities in marine protected areas (MPAs). The Ministers will also consider the preliminary findings and recommendations of a recently concluded study to review the impact of cost factors such as capital, labour, maintenance and energy costs on fisheries operations, in order to identify policy options and strategies to improve efficiency, profitability, sustainability and economic resilience of the sector. Belize City, Wednesday, 29 March 2017 (CRFM)—Heads of national fisheries authorities from 17 Member States of the Caribbean Regional Fisheries Mechanism (CRFM) will be meeting with observers and partner agencies in Jamaica near the end of this week, for the 15th Meeting of the Caribbean Fisheries Forum, the primary technical deliberative body of the CRFM, for talks on the status of and recent trends in the fisheries and aquaculture in the region and plans for the future to strengthen the sector. Ahead of the opening the hurricane season in June, the Forum meeting—slated for Thursday, 30 March, and Friday, 31 March, at the Knutsford Court Hotel, in Kingston, Jamaica—will also address measures for adaptation to climate change and disaster risk management in fisheries. The Forum will also discuss steps to strengthen cooperation and coordination between fisheries and environment departments, as well as partner organizations, in order to strengthen the conservation of marine species and critical habitats to achieve international biodiversity targets. 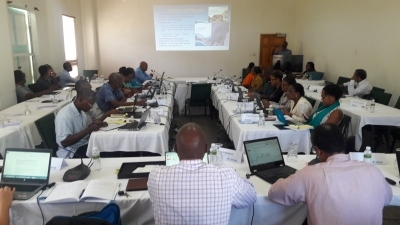 The Forum will be updated on the progress of technical activities being undertaken by the CRFM, its Secretariat, Member States and network partners, after which it will prepare recommendations on the way forward to be tabled when Ministers responsible for fisheries meet on 19 May in Guyana. 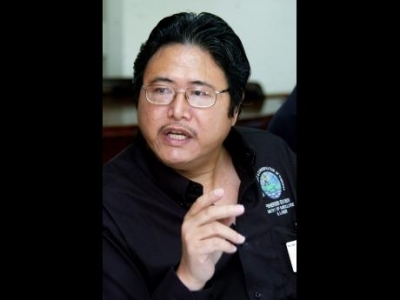 Outgoing chairman, Denzil Roberts, Chief Fisheries Officer of Guyana, will demit office after his 12-month tenure. Participants in the upcoming Fisheries Forum will elect a new chair, vice-chair and executive committee members, who will serve for the programme year, 2017-2018. Belize City, Wednesday, 18 January 2017 (CRFM)—The Caribbean Regional Fisheries Mechanism (CRFM) and the Government of Norway have launched a two-week mission to explore the development of a regional technical assistance project to be funded by Norway. The project would support the region’s fisheries and aquaculture sector by strengthening evidence-based management. Dr. Åge Høines, Senior Scientist, Institute of Marine Research, Norway; and Dr. Johán Williams, Specialist Director, Norwegian Ministry of Fisheries and Coastal Affairs, began meeting on Monday, January 16, with CRFM Executive Director Milton Haughton at the CRFM Secretariat in Belize City, after which the team embarked in a two-week dialogue with 7 CRFM Members States, beginning with senior government officials in Belize. This regional fact-finding mission is being undertaken within the framework of the Memorandum of Understanding (MoU) and Cooperation between the Caribbean Community (CARICOM) and the Ministers of Foreign Affairs of the Governments of the Nordic Countries of Denmark, Finland, Iceland, Norway and Sweden, signed by the parties on 20 September 2016 in New York, USA. That MoU identified fisheries as one of the priority areas of cooperation, along with environment, climate change, renewable energy, gender equality, tourism, education, child protection and welfare, and information technology. Principally, the engagement between Norway and the CRFM Member States will focus of building human resource capacity, institutional capacity, and the accuracy and volume of fisheries data and information, with an emphasis on pursuing the ecosystems approach to fisheries development and management. While in Belize, Høines and Williams had a chance to dialogue with H.E. Daniel Guiterrez, Belize’s Ambassador to CARICOM; Hon. Omar Figueroa, Belize’s Minister of State in the Ministry of Agriculture, Fisheries, Forestry, the Environment and Sustainable Development and Climate Change, as well as Fisheries Administrator Beverly Wade. After leaving Belize on Tuesday, the team, joined by CRFM Executive Director Milton Haughton, travels to Haiti for similar dialogue, as they consult with stakeholders in the field to better define their interests. Next, the team will travel to Barbados, Grenada, Trinidad and Tobago, Guyana, and The Bahamas. While in Guyana, they will meet both with fisheries officials there and officials of the CARICOM Secretariat. The technical mission concludes near the end of January. Haughton noted that for more than 60 years, Norway has been supporting fisheries research surveys in developing countries using the marine research vessel, Dr. Fridtjof Nansen, outfitted with high-level modern technology in marine resource survey. Those vessels have been dispatched in Africa and other parts of the developing world. It is the CRFM’s hope that during the latter half of the proposed project, for the period 2019-2020, the research vessel would be deployed in the Caribbean to conduct surveys to broaden the region’s understanding of the state of its fisheries resources and marine environment. The CRFM also intends to collaborate in this endeavor with the United Nations Food and Agriculture Organization (FAO)/ Western Central Atlantic Fisheries Commission, which is already committed to assisting the region in buildings its fisheries knowledge base.